The fans rejoiced when it was announced that Bryan Singer signed on to direct the latest outing in this series. He got the series going with X-Men and then upped the ante with the stellar X2 in 2003. Unfortunately he departed the series and we were left with Brett Ratner directing X-Men: The Last Stand, which still leaves a sour note in moviegoers’ memories. Since the original trilogy, we have had two terrible stand-alone Wolverine films and a prequel called X-Men: First Class. I really enjoyed X-Men: First Class despite the horrendous casting of January Jones. Call me a purist, but I really think this series is best served under the hands of Bryan Singer. 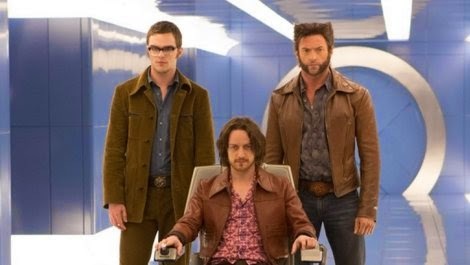 In X-Men: Days of Future Past, not only do we get Singer, but we get the best of both worlds as it reunites the original trilogy cast members plus the new actors that played their younger selves in X-Men: First Class. A war carries on between the humans and the mutants. The humans have unleashed massive robotic killing machines called the Sentinels as their weapon. They were created in 1973 by Dr. Boliver Trask (Dinklage) who at the time was assassinated by the mutant Mystique (Lawrence). She believed if she killed him it would stop the Sentinels from being mass produced and given clearance to be used by the government. Her plan backfired as the assassination caused the mutants to become thought of as an even larger danger and threat to the public than before. In the future as the mutant population continues to decline, Professor Charles Xavier (Stewart) and Magneto (McKellen) devise a plan to travel back in time in 1973 to stop Mystique from killing Dr. Trask. They seek the help of fellow mutant Kitty Pryde (Page) who uses her powers to send Wolverine’s (Jackman) consciousness back to 1973. When he arrives, he needs to find the Professor (now played by McAvoy) and Magneto (now played by Fassbender) to locate Mystique’s whereabouts. Time travel movies can be tricky if the story goes back and forth numerous times throughout a movie. The story can become convoluted and confusing to the audience. When they work, the payoff is thrilling and it makes the movie all the more accessible. 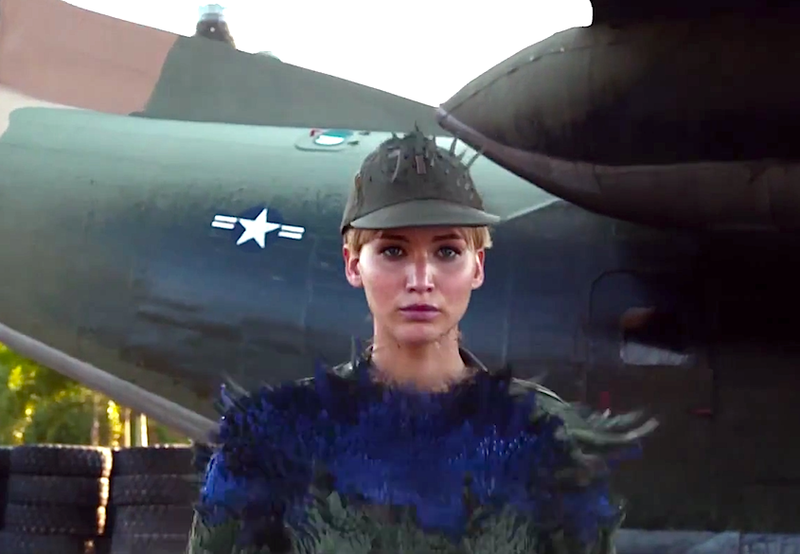 X-Men: Days of Future Past falls into the second category. Screenwriter Simon Kinberg keeps a majority of the story in the 1973 timeline. This helps enhance the character development that was started in X-Men: First Class as we learn more of where these characters are coming from and how their relationships have changed in the decades in between both settings. There is a clear shift in the relationship between Professor X and Magneto from where they started out in terms of their friendship or lack thereof. In this film, we see a very different version of Professor X. James McAvoy gets to play out the disheveled, addicted, and depressed side of him which is a far cry from the stoic leader we know of him through Patrick Stewart’s performance. The only downside to having a majority of the film set in the past is that we don’t see a lot of Stewart and Ian McKellen who are such fantastic actors. I’m sure their busy theater schedules and McKellen’s work in The Hobbit films made their availability limited or maybe that was always the intention of how the structure of the story was plotted out. One of the great characteristics about the X-Men is how universally relatable they can be compared to some of the other Marvel Comics heroes. You may be thinking that idea is a stretch as no one has the ability to teleport, control the weather, or have claws come shooting out of their hands, but there is the underlying message of not being accepted for the way you were born. Many of these characters face adversity and discrimination due to their powers and fight for their voice to be heard or be accepted like any other human being. I think many people can relate to that concept in one way or another. Plus, who hasn’t once thought about what superpower they wish they had. Bryan Singer has a deep understanding of this theme and is able to bring it out with these characters while making it a fun, exciting, action filled comic book movie. With a majority of the story set in the past, the film poses a general reminder on how far our society has come in the last few decades regarding the acceptance and tolerance of others. We can look back, learn, and grow from history. 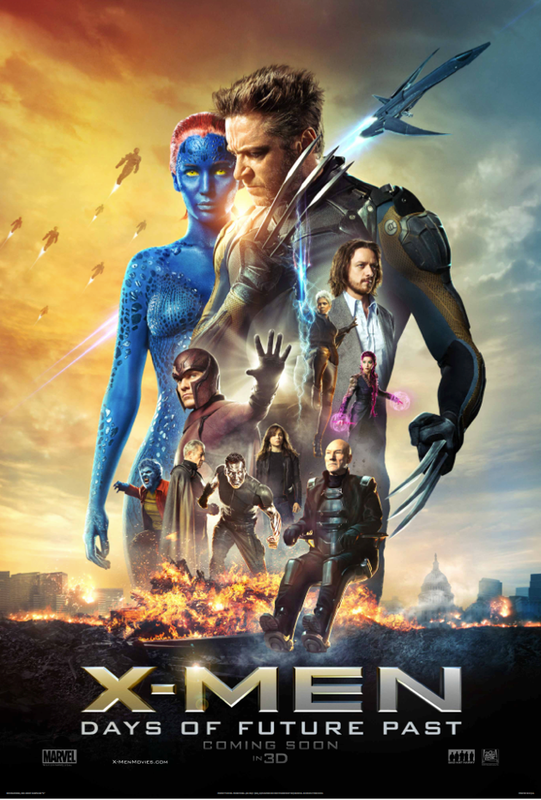 I think if people are hesitant about comic book movies, I would recommend the X-Men films to help them get on the bandwagon. 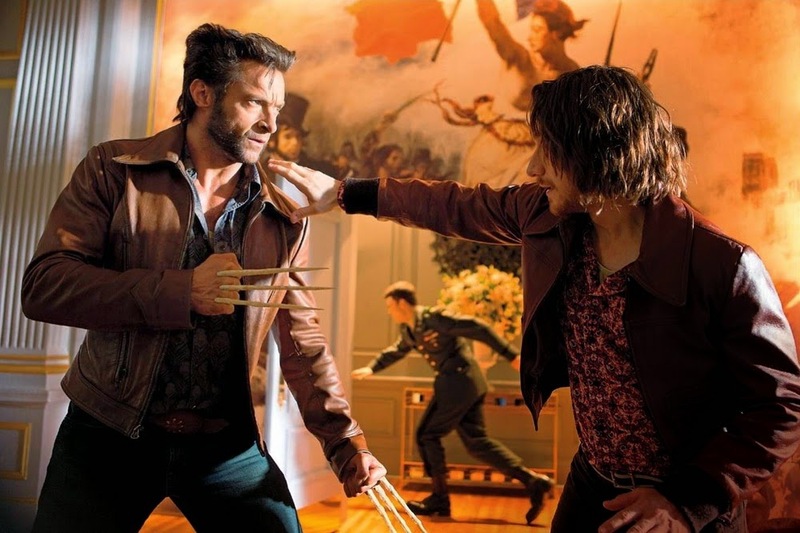 X-Men: Days of Future Past is a fantastic return to form that has won the fan base over again. I get that giddy feeling seeing this huge ensemble of actors step away from the stage or other indie movies to play against a green screen and return to characters the audience has invested in over the years. Sometimes reunion type movies can feel hokey and contrived, but I never got that impression here. 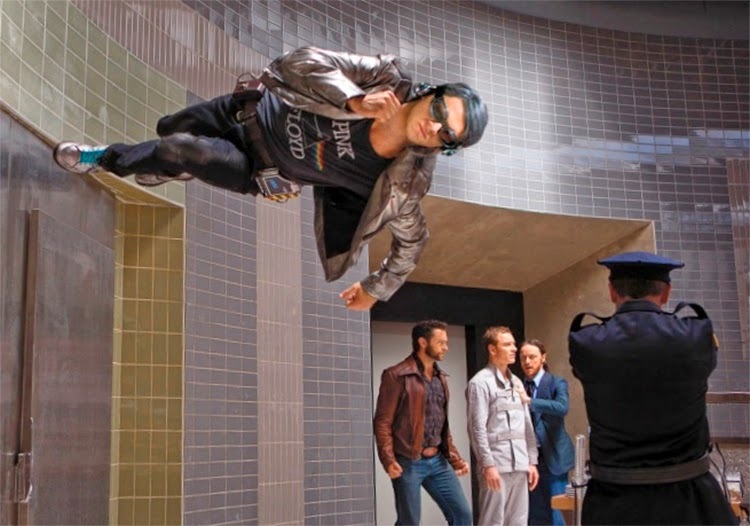 One of the highlights of the movie was new cast member Evan Peters (American Horror Story) as Quicksilver who has a funny slow-motion action sequence with a bunch of armed guards. The ending of the film will get fans excited for X-Men: Apocalypse, the third entry in this new trilogy, as there are cameos galore that pop up that further tie it into the timeline of the original trilogy. 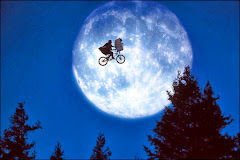 Good news, Bryan Singer is set to helm that one as well. Is it worth your trip to the movies? 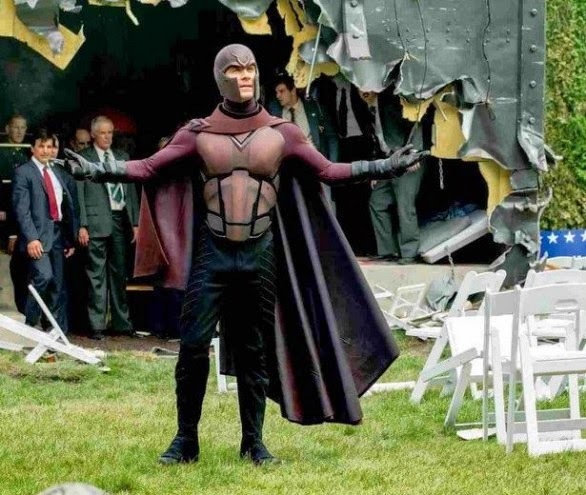 The X-Men are my favorite in the Marvel Comics canon, and the return of director Bryan Singer has made it the best one since X2. Good review Paul. It reads like a love letter to loyal fans and a validation for not only the continuation of the X-Men franchise, but comic book movies as a whole. Thanks for reading, Dan! You are definitely right about it being a love letter to fans. I think it restores fan in the series when some people may have lost interest.